Don’t Forget! These Deadlines are Approaching! A late fee of $5 will be added for registrations dated Aug.1st to Sept.15th. After Sept.15, only walk-up registrations on the morning of Homecoming will be accepted, which incurs an additional $10 fee, plus donation. Please bring exact cash or check that morning. The RBAA’s allotment of tickets for the 2015 Homecominggame v. Missouri have been sold out for several weeks. This is the first time we have run out of tickets prior to the deadline. With this being such a big SEC game, we really appreciate the Athletic Association allocating for us an even bigger block of tickets than last year. show a good number of tickets available. Additionally, members with tickets can swap tickets they have purchased with other Redcoat alumni registered to march only (this option will not apply to non-participating Redcoat alumni). Check the RBAA Facebook page often as well as the RBAA website. And please read e-mails. They will all contain the most up to date information to assist you in having a great 2015 Homecoming! We look forward to seeing you! Our next opportunity to play will be at the Atlanta UGA Days event at the College Football Hall of Fame in downtown Atlanta on July 27. We are hoping for another large turn out. Come join us! Just send an email to Mark Perry or Brenda Floyd and let us know of your intentions. We still need a drummer for UGA Day Atlanta. Please contact Mark or Brenda for details. 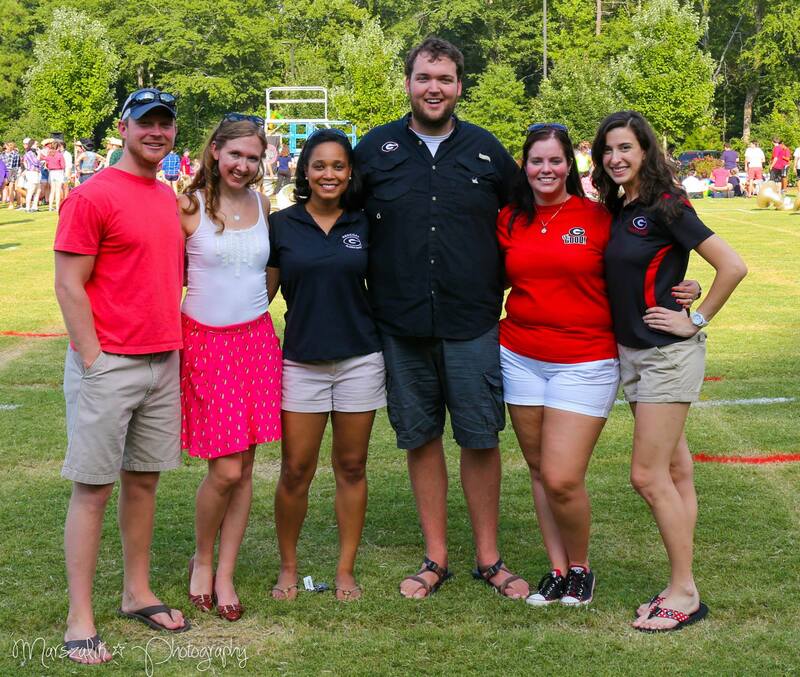 During the month of June, The Redcoat Alumni Pep Band played at Bulldog Park for their annual Bar-B-Que Cook-off. 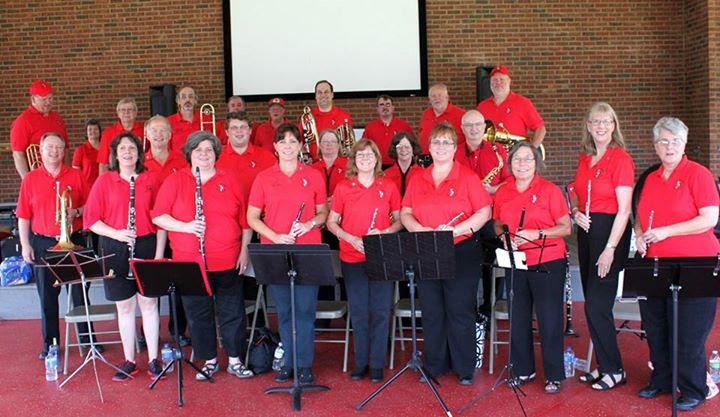 Thank you to these people who donated their time and talent to play with the pep band at Bulldog Park! Jo Baker, Ellen Black, Greg Boike. Michael Brewer, David Brown, Scott Burgess, Lee Butts, Linda Butts, Charles Cheney, Pat Cheney, Anita Cook, Grady Darsey, Wayne Davis, Russ Day, Miriam Fears, Michael Files, Brenda Floyd, David Fulcher, Cathy Hicks, Larry Hogan, Barry King, Joyce King, Valerie Mote, Julie Welch and current Redcoats Ryan Brooks and Seth Lorrens. ← 2015 Homecoming Registration is now OPEN!